Rosuvastatin (Brand Name: Crestor) and the Side Effects it may cause. Rosuvastatin, marketed by AstraZeneca LP under the brand name "Crestor", is one of the newest and the most powerful member of the statin class of medications. Daily use of Rosuvastatin (Crestor) has been shown to lower LDL-C levels by up to 70%, but the drug is too recent to have hard data available on risk reduction for cardiac events or revascularization surgical procedures. This 70% LDL-C reduction is the maximum percentage rosuvastatin (Crestor) lowered cholesterol and may not prove true in any individual case. This holds especially true if you only need, for example, a 30% reduction in LDL-C levels to have balanced cholesterol. 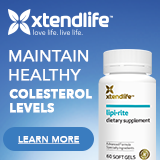 If you only need your cholesterol lowered by 30% and you get a 70% reduction, you could be in serious trouble as your body needs some cholesterol in order to function. As with weight loss and credit card debt, the people who have the most to gain are also the worst-case scenarios. Rosuvastatin (Crestor) is a very powerful medication and carries some signficant risks. Pregnant or nursing mothers should never take Rosuvastatin (Crestor) unless the benefit to the mother clearly justifies the risk to the unborn child. Considering that developing children need the cholesterol carried in Mom's blood in order to grow properly, and that a couple of years is usually not going to make a difference in the course of a chronic disease that takes decades to work, the benefit is probably not worth the risk. In addition, people with active liver disease or unexplained high levels of liver enzymes in their blood should avoid rosuvastatin (Crestor). All statins work in the liver, which is one of the main sites of cholesterol synthesis, so any statin can make liver problems worse. The guidelines published by Astra-Zeneca state that you'll want to get a blood analysis of liver function before starting or raising the daily dose of rosuvastatin (Crestor), as well as 12 weeks after both. If liver problems are going to develop because of taking Rosuvastatin (Crestor), they generally tend to do so within the first three months. After this initial period, it's a good idea to have these blood analyses done again every so often just to make sure everything's going along well. In addition, like simvastatin (Zocor) and pravastatin (Pravachol), rosuvastatin (Crestor) is also not considered safe for people with severe kidney disease. Rosuvastatin (Crestor) and are you of Asian descent or origin? Furthermore, for some strange, unknown reason, people of Asian descent generally get double the amount of medication in their circulation as anybody else. I have no idea why this should be so, but that's what the tests said. Therefore, if you or your parents are from anywhere in Asia, including Indonesia, Micronesia, and the Philippines, you may want to look at a different member of the statin class for high LDL-C levels. Rosuvastatin (Crestor) has been studied on children as young as ten and proven to be both effective and as reasonably safe as it is in the adult population thus far. Being such a relatively new drug, any long term effects of Rosuvastatin (Crestor) on development are, as of yet, unknown. However, considering how the drug works, no problems are expected. Rosuvastatin (Crestor) should probably not be used in children under the age of ten because there is so little data to go on. In addition, whenever a child is placed on a lipid-lowering medication, frequent re-evaluations need to be done to both to ensure that the child is developing into a healthy adult and to make sure the dosage is still working correctly as the child grows. Crestor contains rosuvastatin, microcrystalline cellulose NF, lactose monohydrate, tribasic calcium phosphate NF, crospovidone NF, magnesium stearate NF, hypromellose NF, triacetin NF, titanium dioxide USP, yellow ferric oxide and red ferric oxide NF. Keep in mind that these listed ingredients are only good for the brand name "Crestor". That's the only brand name that rosuvastatin is marketed under at the moment, but if it's combined with another drug or gets a generic form in the future, the formulation will change. In that case, you'll need to find the ingredients list for the new form to find if you're allergic to anything in there. If you're allergic to anything on this ingredients list, you should not take Crestor. Instead, work with your doctor to find a different statin or other lipid-lowering medication entirely that you're not allergic to. How long for Rosuvastatin (Crestor) to work? Rosuvastatin (Crestor) reaches its peak concentration in the bloodstream within three to five hours after taking it by mouth. Like most other statins except pravastatin (Pravachol), rosuvastatin (Crestor) clears out of the body within about 48 hours, at least enough to where it can't be detected . Rosuvastatin (Crestor) apparently works no matter what time of day you take it. In addition, Rosuvastatin (Crestor) works the same whether you take it with food or not, so feel free to take it whenever and however is most convenient for you. Evening is when most cholesterol synthesis takes place, so many doctors will write the prescription for Rosuvastatin (Crestor) to be taken at bedtime, but if that really doesn't work for you, ask if you can have the directions changed. Like pravastatin (Pravachol), rosuvastatin (Crestor) shows an inital therapeutic response in as little as one week. That's double the time lovastatin (Mevacor), simvastatin (Zocor), atorvastatin (Lipitor) and fluvastatin (Lescol) start to work. As I'm sure you probably expected if you've read the rest of our charming statin profiles, there are a bunch of medications you can't take along with rosuvastatin (Crestor). In the case of this particular statin class medication, those would be cyclosporine and gemfibrozil. That's a pretty short list for a powerful statin, but what can I say, it's new. The list of medications you have to watch carefully if taking them at the same time as rosuvastatin (Crestor) is rather lengthy. It includes itraconazole, HIV protease inhibitors, nefazodone, fluconazole, erythromycin, telithromycin, clarithromycin, fenofibrate, amiodarone, verapamil, oral contraceptives and warfarin. Concurrent cholesterol lowering or cardiovascular disease therapy with fenofibrate, amiodarone and verapamil are not recommended unless the potential benefit is worth the risk. If you have to take a short course of powerful antibiotics, it might just be easier to go off the rosuvastatin until the course is done. If, on the other hand, you have to take one of those on an ongoing basis, you and your doctor need to commit to monitoring your health carefully. You do need to put a significant chunk of time in between choletyramine, colestipol, or antacids and your daily dose of rosuvastatin (Crestor). All of those medications can bind rosuvastatin (Crestor) in your intestinal tract to where it will just pass out of your body, completely useless. So, put at least a few hours between them and you shouldn't have that particular problem. There is a short list of medications that showed no interaction with rosuvastatin (Crestor) when taken at the same time. Those medications are grapefruit juice (it's not a medication, but you can drink it), ketoconazole, and danazole. About the only one of those I could see enjoying is grapefruit juice, but hey, take what you can get and raise your glass high! Most statins don't allow grapefruit juice, just in case you were wondering. Of course, the side effects for such a powerful medication are bound to get interesting. In order of probability and common occurence, the side effects for rosuvastatin (Crestor) are pharyngitis, headache, diarrhea, dyspepsia, nausea, uncomplicated myalgia (muscle aches or cramps for no good reason), asthenia, back pain, flu syndrome, urinary tract infection, rhinitis and sinusitis. And yes, just like all the other statins, Rosuvastatin (Crestor) comes with the extremely unlikely but still present risk of myopathy/rhabdomyolysis. That means that even though any muscle aches, cramps or pains are probably going to be that uncomplicated myalgia up in the common side effects, you still need to report them to your doctor so he or she can make sure your skeletal muscles aren't starting to disintegrate. There's no real information on rosuvastatin (Crestor) overdose out there yet. I suppose it's still too new. Researchers found out that repeatedly exposing animals to insanely high doses of Rosuvastatin (Crestor) over long stretches of time did nasty and unpleasant things to the animals, but that doesn't exactly help the worried parent who found a child with an open bottle. However, reading about it is almost enough to make me join PETA. The best information I could find was to get the person who overdosed to the hospital, treat the symptoms if and when they come up, and do lots of laboratory tests to check for liver and kidney function. Sometimes any medication overdose is treated with hemodialysis, but there's no reason to think that will do any good in the case of rosuvastatin (Crestor). These days most prescriptions are filled by a pharmacy technician and then checked by a pharmacist for accuracy before being sent out to our patients. But errors do happen. Please, please check your medication when you get it from the pharmacy before you ingest it. Doing so may save your life. The 5 mg dosage of Crestor is a yellow, round tablet with "CRESTOR" and "5" imprinted on one side and plain on the other. The 10 mg dosage of Crestor is a pink, round tablet with "CRESTOR" and "10" imprinted on one side and plain on the other. The 20 mg dosage of Crestor is a pink, round tablet with "CRESTOR" and "20" imprinted on one side and plain on the other. No, that isn't a typo, they made the 10 and 20 mg dosages the same color. The 40 mg dosage of Crestor is a pink, oval tablet with "CRESTOR" and "40" on one side and plain on the other. Yup, pink again. Keep in mind that these descriptions are only good for the brand name "Crestor". While it probably won't happen for a while, rosuvastatin marketed under any other name or in combination with another medication is not going to look the same, so get to know what each of your medications should look like and check them every time you get them. Rosuvastatin should be stored at 20 to 25 degrees C (68 to 77 degrees F) with excursions permitted between 15 and 30 degrees C (59 to 86 degrees F). Don't store Rosuvastatin (Crestor) in your refrigerator or on the sunniest window ledge you can find, but rather in a dark, cool pantry or medicine cabinet where it's unlikely to get mixed up with food. In addition, protect Rosuvastatin (Crestor) from light and moisture by keeping it in tinted plastic and remembering to close the cap. Rosuvastatin (Crestor) is, bar none, the most powerful statin class medication on the market today. As such, Rosuvastatin (Crestor) offers hope to people who could not get their cholesterol back in balance any other way. However, keep in mind that as a powerful drug Rosuvastatin (Crestor) can also have some powerful and dangerous side effects. There is no such thing as a "magic pill" that will fix what ails you without risks. You and your doctor should work together both to make sure you're on the lowest dose necessary to get your cholesterol down as well as making sure you don't suffer from any of those unpleasant effects. Used properly, rosuvastatin (Crestor) offers the hope of a longer life without reducing quality of life to many people.